A photo of the "Pennsylvania Desert," Tioga County, PA, circa 1920. This photograph, taken in Tioga County some time in the early 1900s, well documents the deforestation of northern Pennsylvania in the late 1800s and early 1900s. 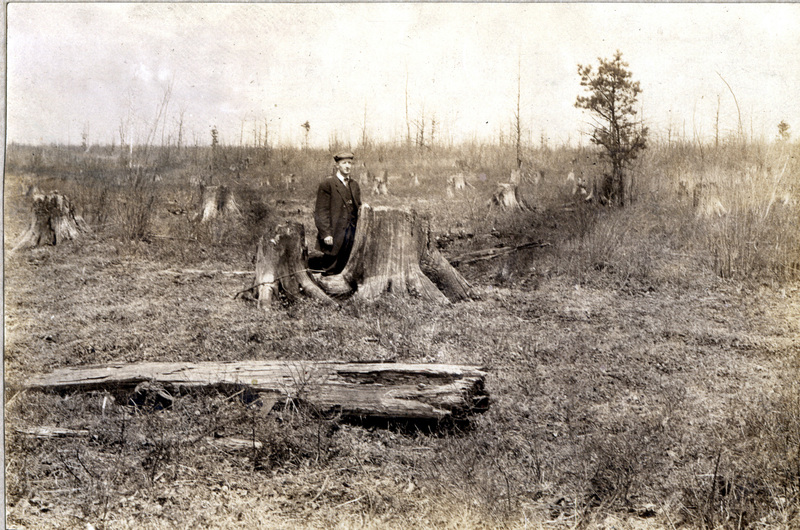 To end the logging practices that had created what he called the "Pennsylvania Desert," and to combat humanity's "tree-destroying instinct," University of Pennsylvania botanist Joseph Rothrock in the 1870s launched a campaign that led to the creation of a state Forestry Commission in the 1890s and state-owned forest reserves that by 2000 included 4 million acres.